The Wizards lost to the Raptors on Wednesday on DeMar DeRozan's tiebreaking shot with 12 seconds left. 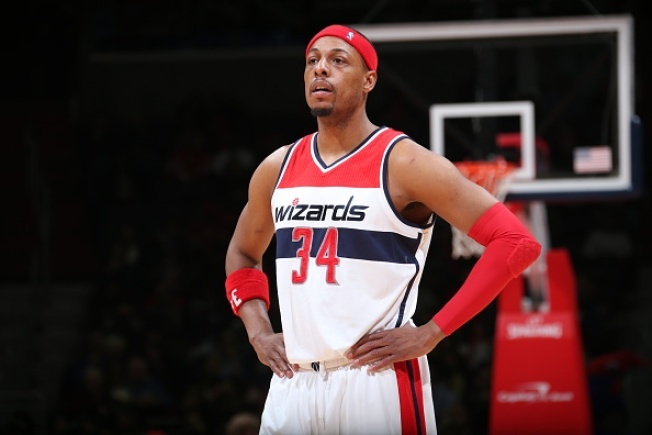 Washington called timeout to set up a potential game-tying (or game-winning) play, which Paul Pierce would initiate on an inbounds pass. Pierce just so happened to be standing directly in front of rapper/entertainer Drake, the Raptors' "Global Ambassador." Drake lightly tugged at Pierce's arm before the play, which Pierce was having none of. As spoiled above, the Wizards missed the shot, losing 95-93.